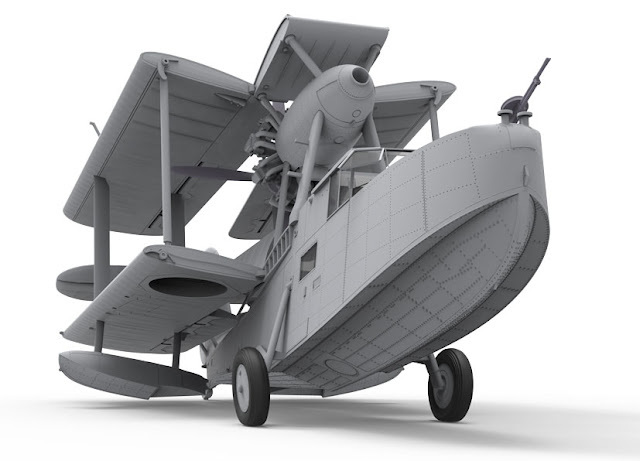 SMN report: Bravo Airfix, for deciding to make the upcoming Supermarine Walrus to 1:48 scale, as the larger size will really add to the attraction of the kit, especially where there inclusion of interior detail (below) is concerned. 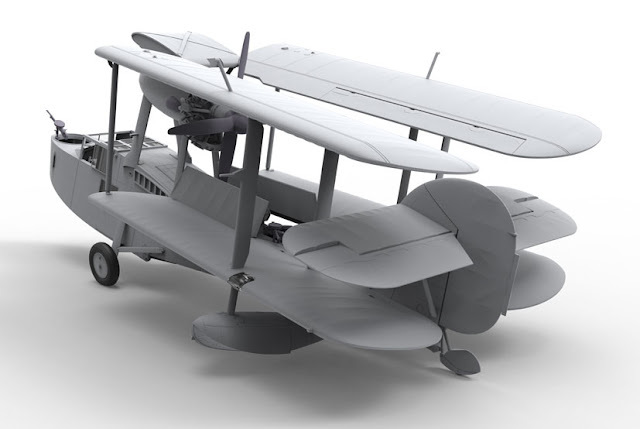 The cgi images below show that the upcoming Walrus kit will be well worth the wait. Folding wings will really make it a display model worth showing off. 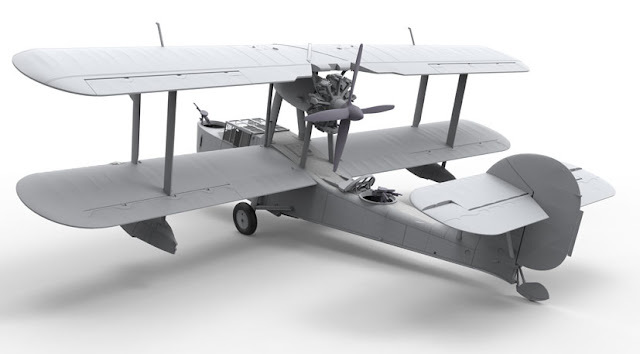 Wingspan will be around the 292 mm (11.5 in) mark, so even at 1:48 scale, the model shouldn’t cause many storage or display issues. The Supermarine Walrus amphibious biplane was designed by RJ Mitchell, later to achieve fame for his elegant Spitfire fighter. Despite its rather ungainly appearance, the Walrus was strongly built, the first public display revealing this when the pilot performed a loop in front of thousands of visitors at the 1933 Hendon Air Show, near London. 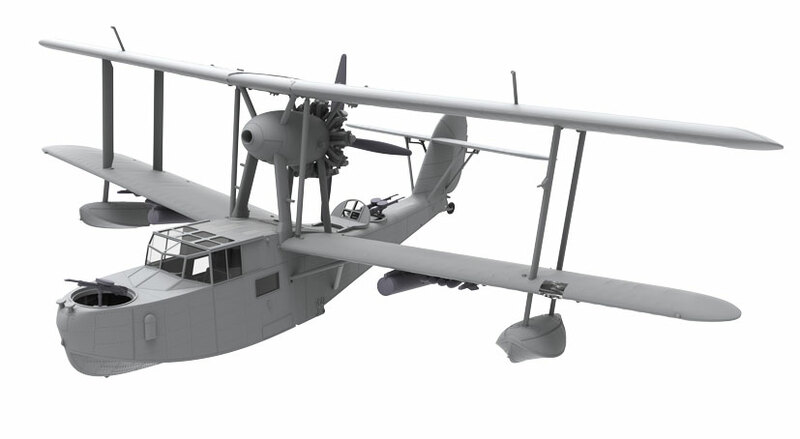 The Walrus was initially designed as a catapult-launched aerial spotter plane, for operations from cruisers and battleships. However, it was later used for various roles, including rescuing downed aircrew. The aircraft continued in service throughout World War II. 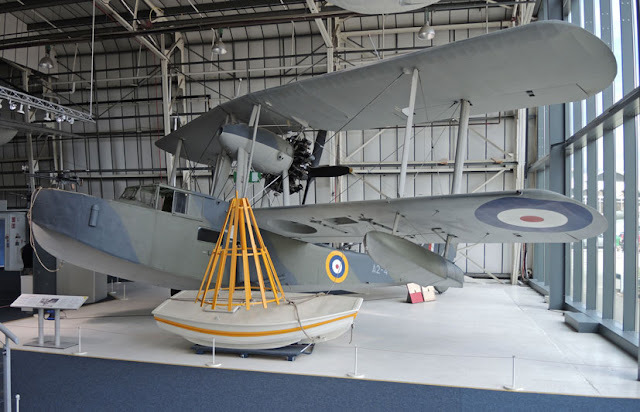 It was the first British service aircraft to feature a fully retractable main landing gear, a completely enclosed flight deck, and an all-metal fuselage. 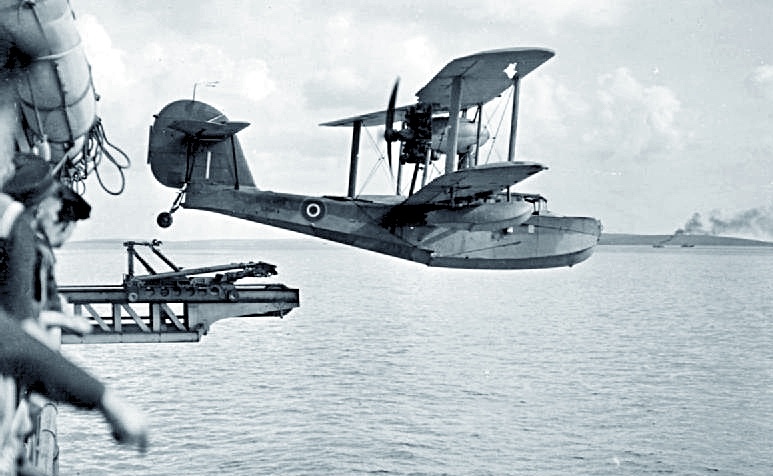 Walrus (below) leaving the catapult of HMS Bermuda, in 1943. 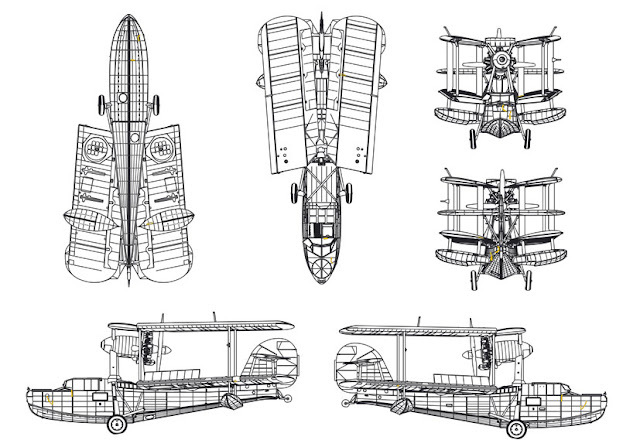 Elevation drawings (below) show the wings folded, necessary for storage in the tight confines of a naval ship. 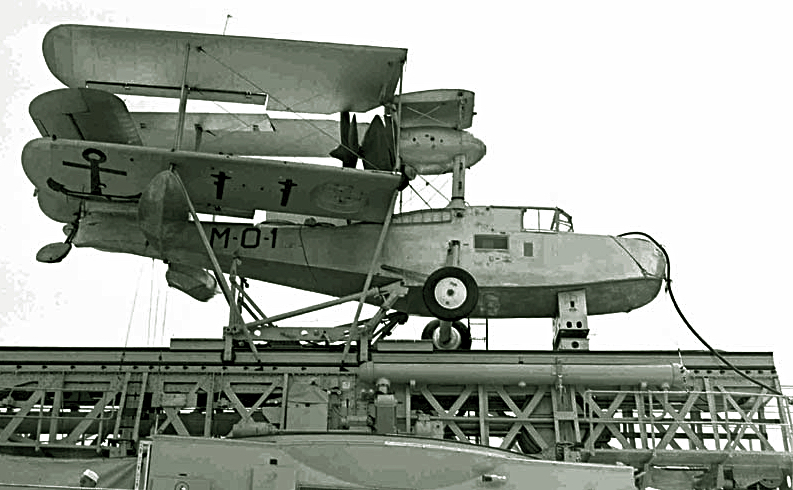 Stored shipshape on the catapult (below) of an Argentine Navy cruiser, La Argentina, 1940. 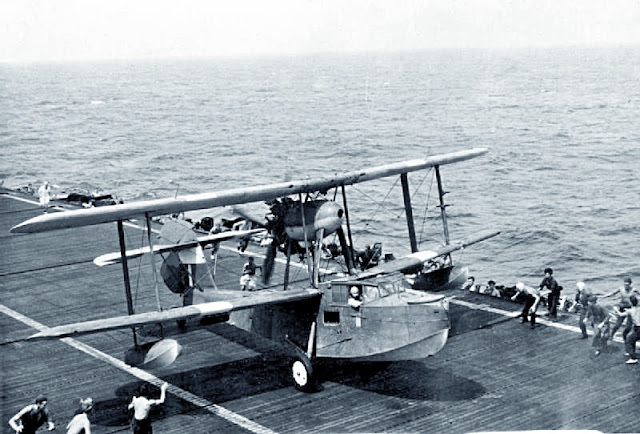 Landing on the deck of an British aircraft carrier (below) after a successful Indian Ocean rescue mission, 1940. 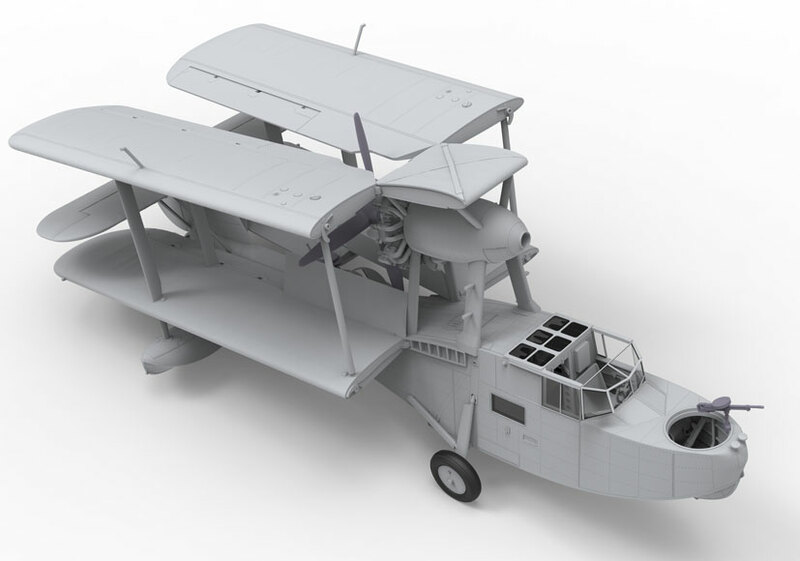 Release for the Airfix Supermarine Walrus is slated for July 2017, so biplane-enthusiasts, get ready. 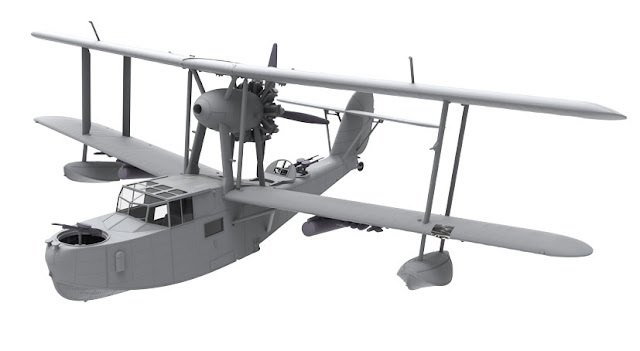 As 1:48 fans, we hope the Walrus will spearhead more to come in this scale. 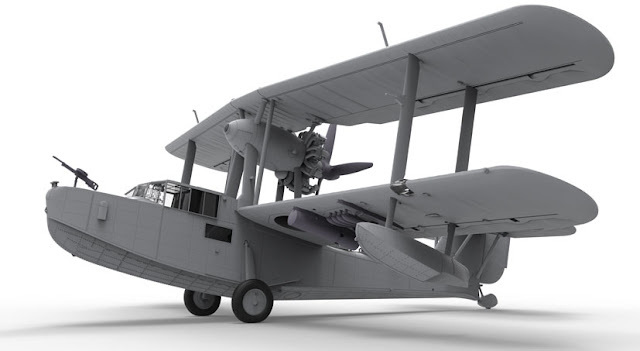 Click here for plenty more information at Airfix.